Your recipient will celebrate the day when they set their eyes on this divine bouquet. 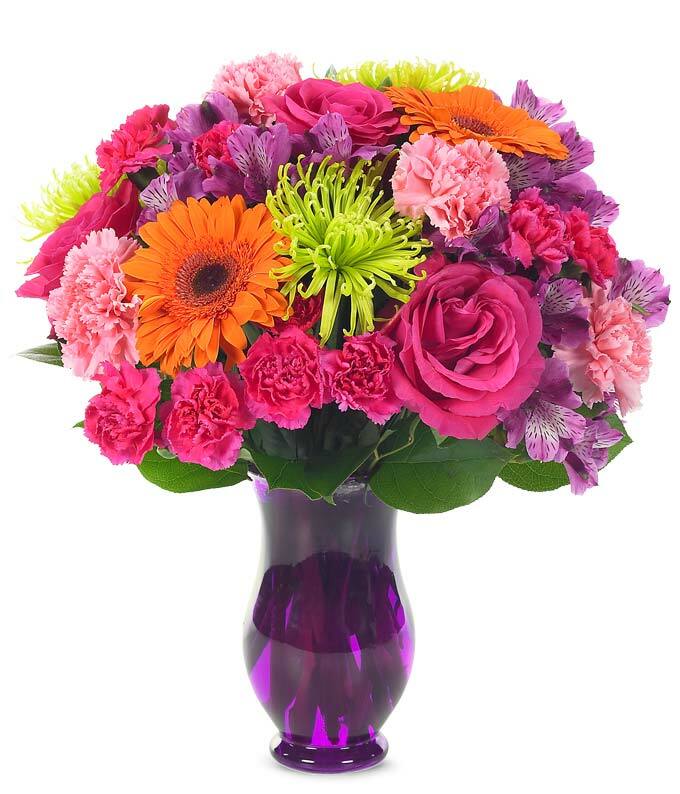 Roses and carnations along with fuji, alstroemeria and gerbera are presented in a purple passion vase. Measures 15"H by 12"L.